Root canal treatments help patients with deeply decayed or damaged teeth avoid extractions and preserve their own natural teeth. 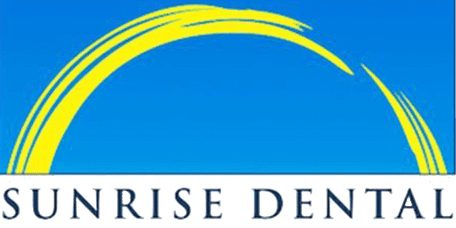 Sunrise Dental of Renton offers state-of-the-art root canal procedures for patients in and around Renton, WA, using advanced techniques and innovative pain management strategies for optimal outcomes in every patient. Root canals are used to repair and restore teeth that have been badly damaged by decay in the central portion of the tooth called the pulp. The pulp contains the nerves, blood vessels, and other tissues that support the tooth and keep it healthy. If the pulp becomes decayed or damaged by trauma, a root canal procedure can prevent tooth loss and extractions by removing the damaged pulp then building up the tooth with a special filling and a crown to protect it. Root canals are similar to regular dental fillings, but because the pulp is located deep within the tooth in narrow channels or canals, special instruments are required to carefully extract the damaged tissue without harming the surrounding tooth material. Once the damaged pulp is removed, the canals are sealed and filled with a special material. If the surrounding tissue is infected, a special medical filling may be applied during this visit and the “regular” filling material will be placed in a separate visit. A small amount of surface material is removed from the tooth to make room for the crown, and a temporary crown will be placed over the tooth while the permanent crown is being made. Once the permanent crown is ready, the patient will return to the office to have it applied. Why is it Better to Have a Root Canal Than to Have My Tooth Pulled? There are two main reasons why it’s often better to have a root canal than to have a tooth pulled. First, preserving a natural tooth also preserves the natural bite mechanics and bite balance, reducing the likelihood of uneven tooth wear, chronic jaw pain, headache, and further tooth damage that can occur when the bite mechanics are altered. And second, a root canal procedure is often much less costly than having a tooth pulled and then replaced with a restoration like a bridge, denture, or implant. Our office uses the most advanced pain management techniques to help patients remain comfortable throughout their procedure. Over-the-counter pain medications can be used to treat any temporary discomfort that may occur during the initial stages of healing.